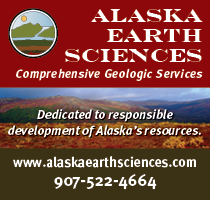 Although mineral exploration and development activities continue around the state, year-end total expenditures are beginning to gel, and we are getting an increasingly clear picture of just what sort of year it has been for the Alaska mining industry. For the producing metal mines, gross and net revenue are down over last year, largely due to significant decreases in the spot prices for those metals, with gold down almost 15 percent and silver down almost 25 percent over their peak in the last year. Lead and zinc prices have been somewhat volatile but have risen in recent months so revenue streams there have been mixed. Development activities in 2014 were down relative to 2013 as major producers continue to look for ways to increase productivity, cut costs and improve shareholder value. On the exploration front, Alaska is weathering another year of declining exploration spending, the third straight since record-setting expenditures in 2011. While the following numbers are by no means official, my crystal ball suggests exploration spending for 2014 will be the lowest in 10 years, at somewhere between US$80 and US$100 million, and more likely closer to the lower end of that range. Perhaps even more disturbing is the fact that only three projects make up more than 50 percent of the total estimated statewide exploration expenditures. The conclusion is inescapable: most mineral property owners in Alaska have spent little more than the legally required minimum on exploration in 2014. If it is any comfort to you, we are not alone in this dilemma: global financial giant Ernst & Young recently reported that limited gains in productivity have improved access to capital for major companies but smaller producers, companies with near-term development projects, and junior explorers remain cash starved, regardless of the jurisdiction in which their properties are located. 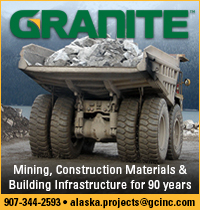 SNL Metals & Mining chimed in with supporting evidence, indicating that new mineral resource additions fell almost 50 percent in the second quarter of 2014. With only 75 percent of this year behind us, most companies are already looking to 2015. Graphite One Resources Inc. announced commencement of drilling at its Graphite Creek property. The company plans to conduct infill drilling at approximately 50-meter spaced centers, with the goal being to convert a portion of the industry compliant inferred resource of 284.71 million metric tons at 4.5 percent graphite to the indicated and/or measured category. The resource represents drilling along 4.8 kilometers (three miles) of an 18-kilometer (11 miles) long conductor. The 2014 drilling is designed to continue to demonstrate the continuity of the mineralization both along strike and down dip. The company also plans to collect a small metallurgical bulk sample from both surface exposures and existing drill core. Previous mineral beneficiation tests using a leaching process yielded results exceeding 99.9 percent carbon from a rough concentrate produced from flotation which had an initial 92 percent carbon head grade. Mineralization on the property is characterized by coarse crystalline graphite (greater than 80 mesh) within graphite-bearing schists. In what we hope is a trend toward improving market conditions, the company also announced that its originally announced $1 million financing has been increased to $5 million. Alaska newcomer Southern Crown Minerals Ltd. announced acquisition of the Luna-Quicksilver, Kisa and Chilly gold-silver +/- copper projects near Bethel. The company is planning a 1,200-meter drilling program for fall 2014 to follow up ground geophysical surveys completed over 3.75 kilometers of strike on the Luna and Luna East zones earlier in the year. The key Luna–Quicksilver prospect contains two large undrilled outcropping semi-massive sulfide stockwork zones 1.2 kilometers (0.74 mile) distant from each other. 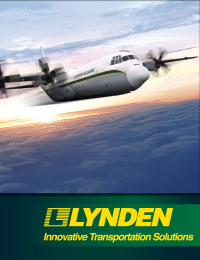 The company has budgeted US$450,000 for its 2014 program, including claim rents, ground magnetics at Luna, helicopter-borne magnetics at Chilly, channel sampling, prospecting at Chilly and Kisa and bedrock drilling at Luna-Quicksilver. Rock chip and channel sampling of Luna stockwork outcrop has returned up to 64.7 grams per metric ton gold and 74 g/t silver. Rock chip and channel sampling of Luna East sulfide outcrop has returned up to 1.2 percent copper and 90 g/t gold. The Luna-Quicksilver quartz-carbonate stockwork veins are hosted in altered sediments and intrusive with anomalous gold, silver, antimony, bismuth, arsenic, molybdenum, tellurium and tin with Luna East also highly anomalous in copper with values up to 1.2 percent. Kisa, drilled with six holes by Gold Crest Mines in 2007, intersected gold in a breccia pipe with best intercept of 126 meters grading 0.65 g/t gold from hole K07-05. Chilly hosts a 500 meter long gold anomaly (>100 parts-per-million gold) with a larger coincident arsenic anomaly (>250 ppm arsenic). Under terms of the deal, Southern Crown Minerals has until December 15 or four months after completion of the drilling, whichever occurs first, to exercise an option to acquire the properties from Afranex Gold Ltd. In addition, Southern Crown must also issue 30 million common shares and pay up to US$100,000 to Afranex. 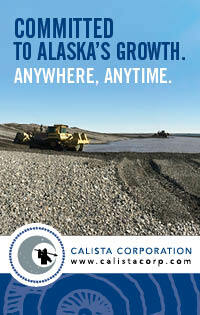 Welcome to Alaska Southern Crown Minerals Ltd.! Miranda Gold Corp. announced an initial resource from historic drilling on the Coleman zone at its Willow Creek project in the Willow Creek District near Anchorage. The new resource includes measured and indicated resources of 62,100 ounces of gold contained in 78,700 metric tons grading 24.6 g/t gold using a cutoff of 7.0 g/t gold. An additional 4,100 ounces of inferred resources at the same cutoff are contained in 5,300 metric tons grading 24.2.1 g/t gold. The Coleman resource is characterized by a central quartz vein and several subsidiary, sub-parallel shallowly dipping, northwest striking, quartz veins in the hanging wall and footwall that are hosted within a quartz diorite intrusion. The veins intercepted by drilling average less than a meter thick and can be separated by up to 20 meters and tend to merge and splay. Disseminated native gold, tetrahedrite, telluride minerals, pyrite, arsenopyrite and chalcopyrite are the primary metallic minerals in the veins. WestMountain Gold, Inc. provided an update on its high-grade Terra project in western Alaska Range. Surface trench work and bulk sampling at the rate of 5 to 10 tons on the Ben and Fish veins has extended the strike length of both veins. The Ben and Fish Vein have been trenched and bulk sample mined to the north and south of their discovery locations with multi-ounce per ton gold values in the veins. Bulk sampling will be continued into the fall with results to be announced later. Current resources at the project, using a cut off of 5 g/t gold, includes an indicated resource of 49,809 ounces of gold at 13.25 g/t gold and 112,723 ounces of silver at 29.98 g/t gold and an inferred resource of 369,795 ounces of gold at 15.63 g/t gold and 653,884 ounces of silver at 27.63 g/t gold. 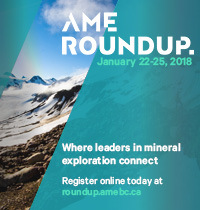 Pure Nickel Inc. announced results from their 9-hole, 1700-meter drilling program at the North Pole Hill prospect on its Salt Chuck copper-gold-silver-palladium project. Eight of the nine holes encountered pyrite-chalcopyrite mineralization associated with hydrothermal quartz-calcite-epidote veining, similar to that intersected in 2012 drill hole NPH-12-04 which intersected 29.1 g/t gold, 14.1 g/t silver and 0.79 percent copper over 2.58 meters. Best results from the 2014 program came from four step-out holes around NPH-12-04, including hole NPH-14-07 which intersected 14.1 g/t gold and 0.74 percent copper over 0.5 meters apparent width, hole NPH-14-05 which intersected 1.3 g/t gold over 1.1 meters apparent width and NPH-14-10 which intersected 1.3 g/t gold over 1.0 meters apparent width. The results of the 2014 drill program indicate that the property hosts numerous mineralized structures that locally exhibit elevated gold and copper values. These structures may be related to a major fault that bisects the Salt Chuck intrusion in the under-explored central part of the property.